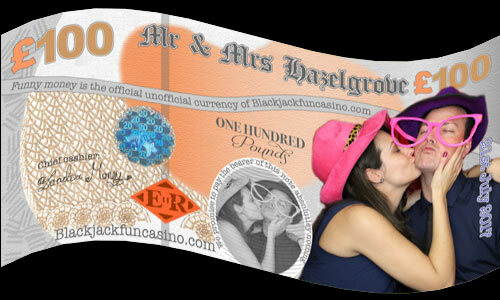 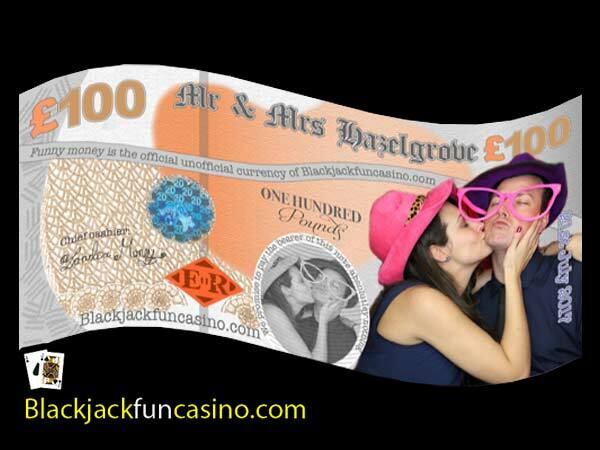 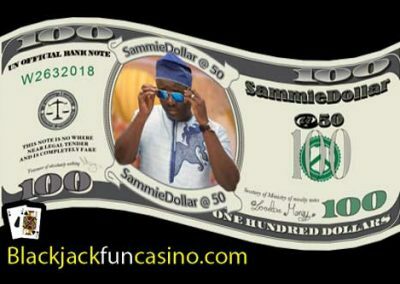 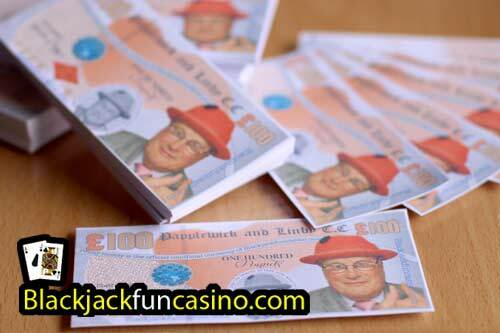 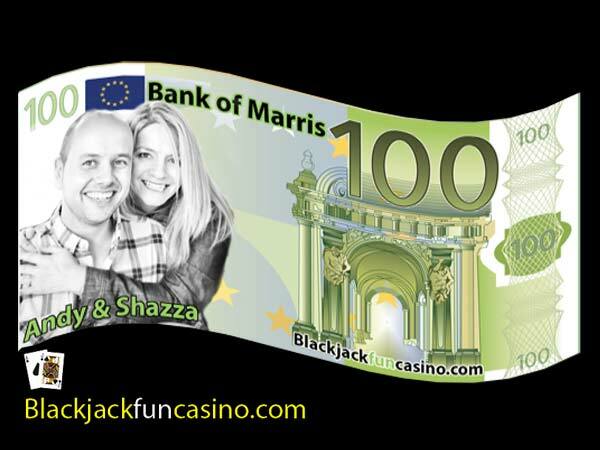 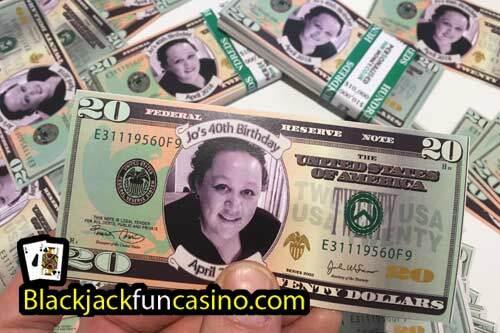 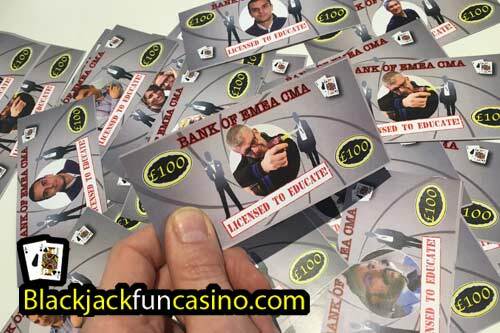 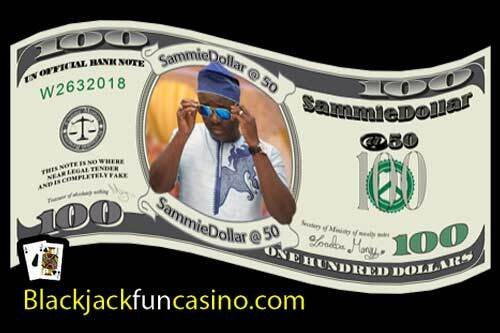 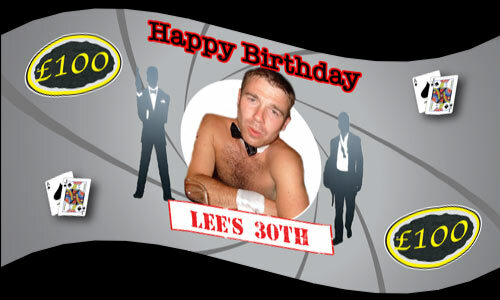 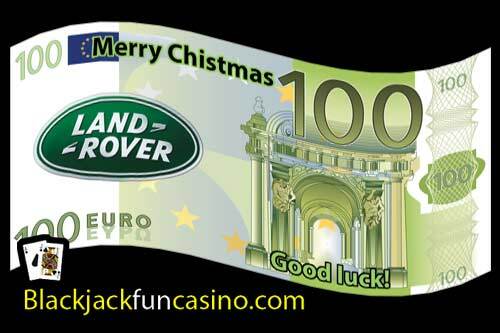 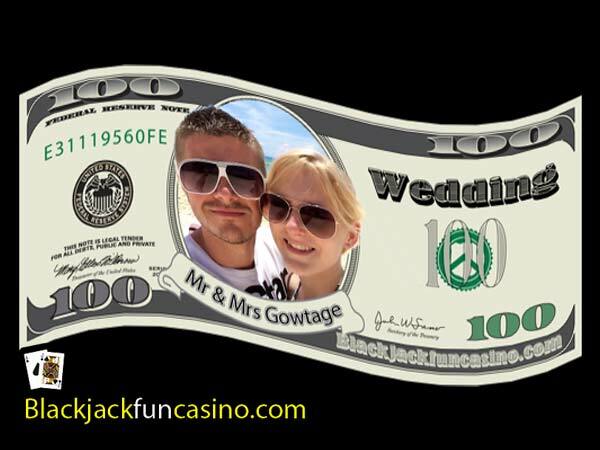 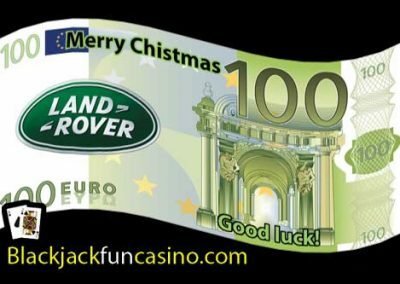 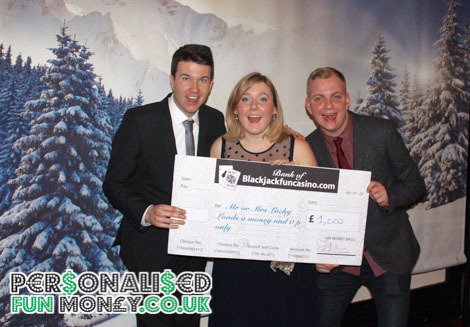 Personalised fun money will really add to your Casino party, wedding reception or corporate event. 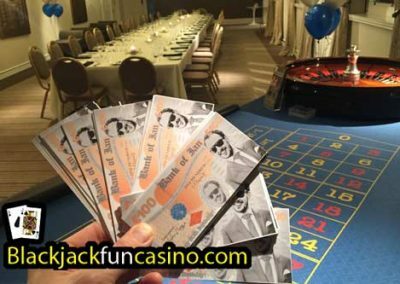 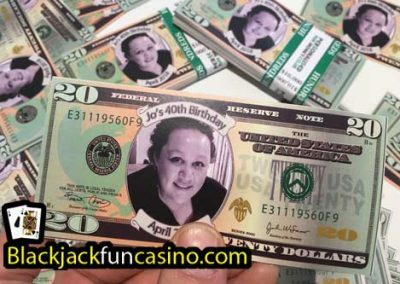 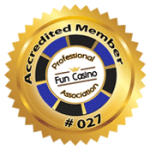 It is a good way to add a personal touch and will definitely leave a lasting memory of the fun casino with your guests as they can even take one home as a souvenir. 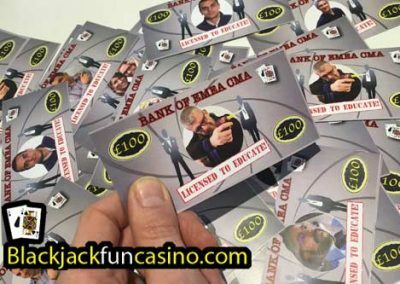 We have many Personalised Fun Money designs to choose from; fake Pound notes, dodgy Dollar bills, customisable Euro bank notes and novelty bank notes. 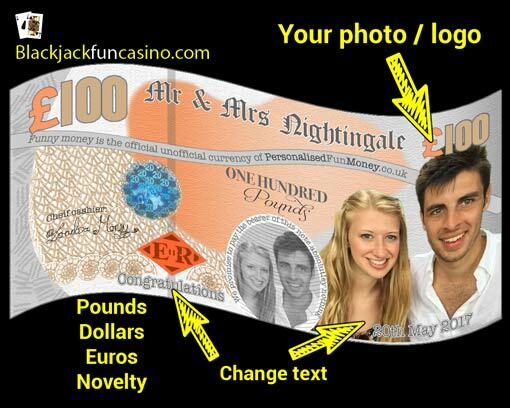 We can personalise these bank notes however you wanted…. 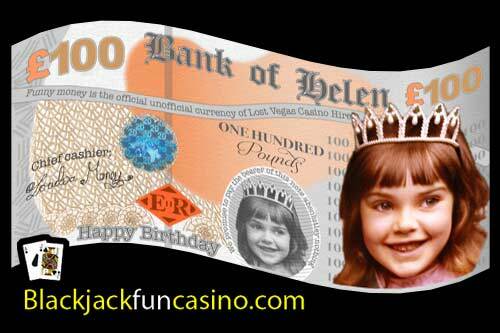 Get in touch or order yours below. 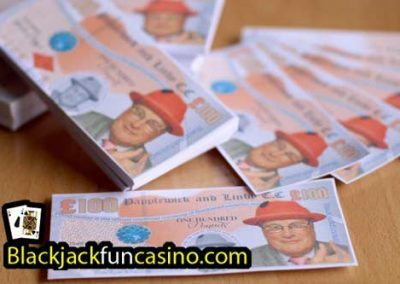 Fill in the in the online form with details of what wording you wanted on your notes, you can also upload a photo or logo. 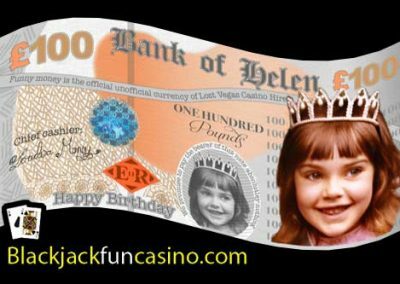 Once we receive your order, our in house graphic designers will get to work and prepare a draft copy of your personalised currency for you to approve or make any changes. 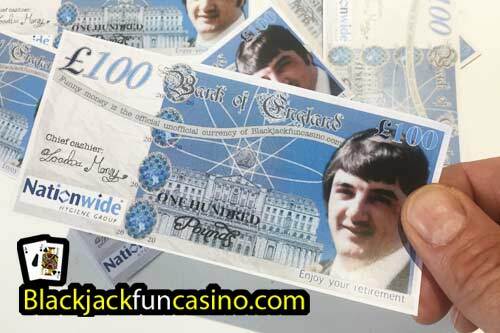 We will always send you a draft copy for you to approve before we print your bank notes. 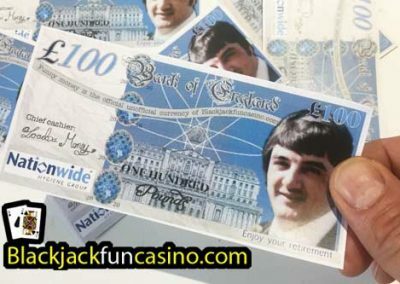 Once you are 100% happy with the design of your chosen bank notes then we’ll send your design to our bespoke counterfeit printing press and get your order printed and posted. 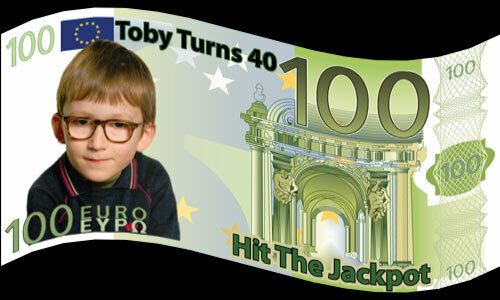 You choose your denomination… Maybe $40 bills for a 40th Birthday party? 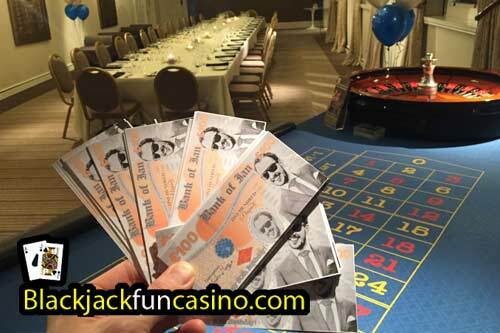 Want to bring a continental feel to your party? 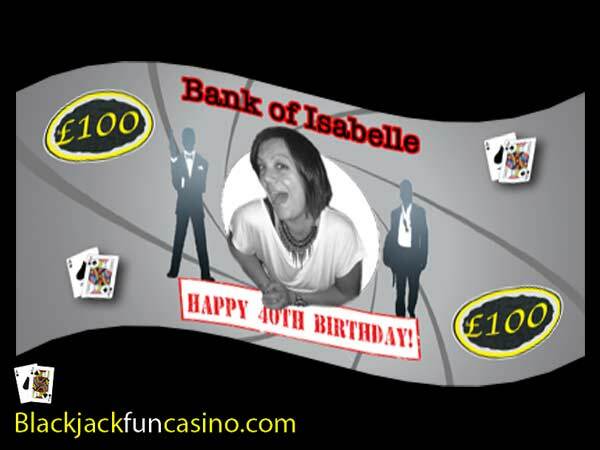 Fun Money bank notes to compliment your party theme?